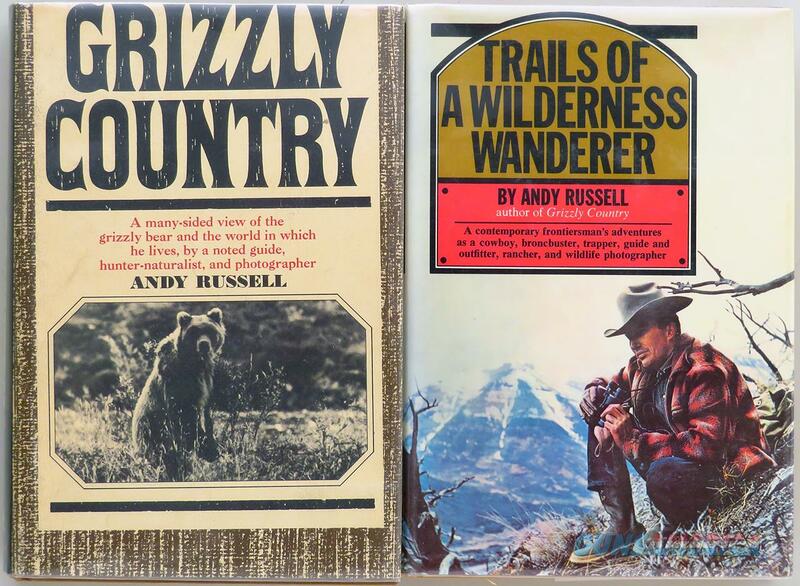 Description: Two North American big game hunting books by Andy Russell. Grizzly Country as published by Knopf in 1967, is a stated first edition in excellent condition including DJ. Former owner's library stamp (embossed) and small dealer's sticker appear inside. Trails of a Wilderness Wanderer from Knopf in 1971 is the second printing. Excellent including DJ. Owner's stamp and dealer's sticker as above. Price written on inside back cover. The price is firm.